Stress and other mental issues can definitely affect how healthy your heart is. You probably have heard cases of otherwise healthy individuals dropping dead from a heart attack. Perhaps you even have some personal knowledge of this happening. Someone who appears to be in the physical prime of their life has a massive heart attack, and everyone that knows that person is totally shocked and flabbergasted. That is often times because mental problems can lead to debilitating, dangerous and even deadly health conditions. Your mind and body are closely connected. One cannot prosper without the other being healthy. Heart conditions including stroke, and even heart attacks can arise when your mind is not as healthy as it should be. 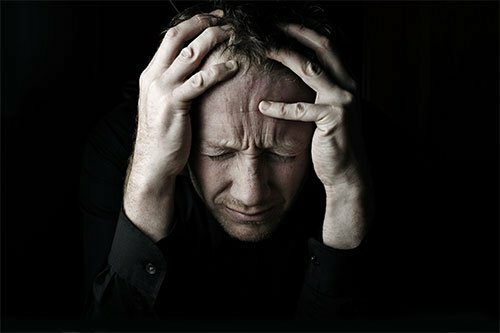 A long and scary list of heart problems can develop from nothing more than a stressed-out, depressed mindset. Even a temporary state of depression can contribute to the onset of an unhealthy heart issue that lingers and becomes worse long after your depression goes away. Depression can also lead to abnormal eating habits, an elevated heart rate, high blood pressure and a list of other factors which contribute to a weak heart. Stress is also a mentally based issue directly connected to problems with your heart. Stress is a major health problem in so many ways. Your skin, all of your major organs, your digestive process, your immune system, your heart and so many other internal and external components and processes suffer when you are stressed out. If your mind perceives stress, real or imagined, the age-old "fight or flight" hormones which are released mean your blood pressure, blood sugar and heart rate are all affected. Your "jacked up", stressed-out, wired and anxious mind tells your body it needs to protect itself. Faced with what it believes is a very real danger, hormones and chemicals flood your body and elevate your heart rate. Your blood pressure goes up instantly, along with your energy level, in response to this perceived threat. This is how your mindset can directly lead to a simple condition such as high blood pressure, or something worse, such as a stroke or heart attack. The problem is magnified when you experience stress or some other mental issue frequently, or for an extended period of time. That constant pressure on your heart in many cases is too much for your pumper to handle. Also, a lot of mental issues like worrying, stress, depression and anxiety can lead to behaviors that impact your heart in a negative way. Some people smoke, drink alcohol, and overeat as a way to cope with their mental problems. Talk to a health professional if you experience chronic stress, depression or some other mental disorder. A healthy heart and healthy mind lead to a longer, happier, healthier life, as well as a lower risk of contracting heart disease.